This module will allow you to make changes to various pages with the easy to use TinyMCE editor instead of editing language keys. It is compatible with Boonex Dolphin Version 7.1.x only. Install and use this at your own risk. If you mess up your site, delete a page, or what have you because you didn't know what you were doing, then that's your problem, not mine. 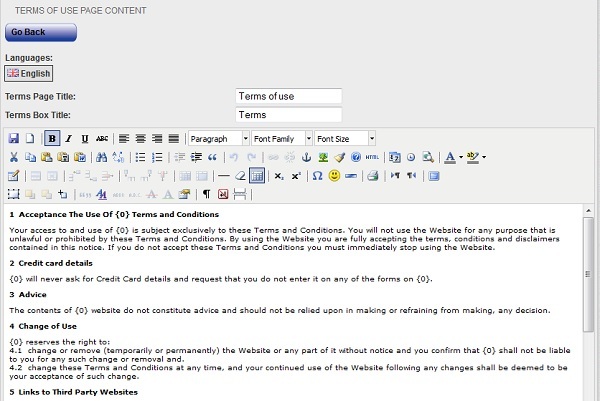 It also allows you to edit, delete, add and re-order footer links. It provides a much easier way to edit the contents of those pages without having to mess with language keys and html code. This is/was a very nice Dolphin module. Unfortunately the developer has been AWOL for a very long time now. I do not take any credit for the original work, and believe me the original developer did a lot of work on this one. 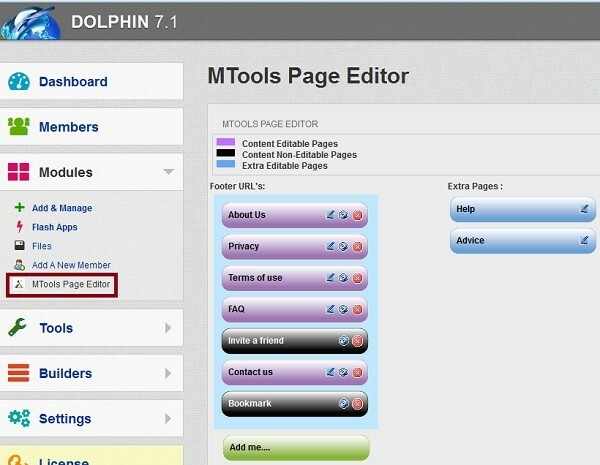 It has been a free module for previous versions of Dolphin for a long time. I simply edited various areas of this module for personal/non-commercial purposes to make it work with Dolphin 7.1.x, and I am passing it along to members of this site with the expectation that you don't modify or resell it for commercial purposes as well.